An endangered eagle was found in the Grogol River in Penjaringan subdistrict, North Jakarta, on Tuesday morning. The Jakarta Natural Resources Conservation Agency (BKSDA)’s forest ecosystem management head, Nani Rahayu, said the elang bondol (brahminy kite eagle) was categorized as an endangered species. She said the eagle had undergone a dramatic population drop within the last few years. “We could not find the eagle anymore in four conservation sites. The Brahminy kite eagle has undergone a sharp population decline on Java Island,” Nani said on Tuesday, adding that the situation had been triggered by the bird's habitat transformation. The brahminy kite eagle has not been seen in the Muara Angke wildlife reserve since 2013, Nani added. 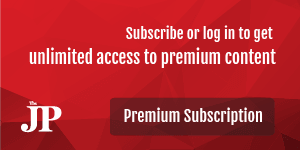 She encouraged anyone who found endangered or protected species to report their findings to the agency because keeping the animal was considered a violation of the law that could result in a maximum punishment of five years’ in prison and Rp 100 million (US$7,070) in fines. “Better call our call center. [The animals] would then be taken to the Tegal Alur animal rescue center in West Jakarta,” she said as quoted by kompas.com. 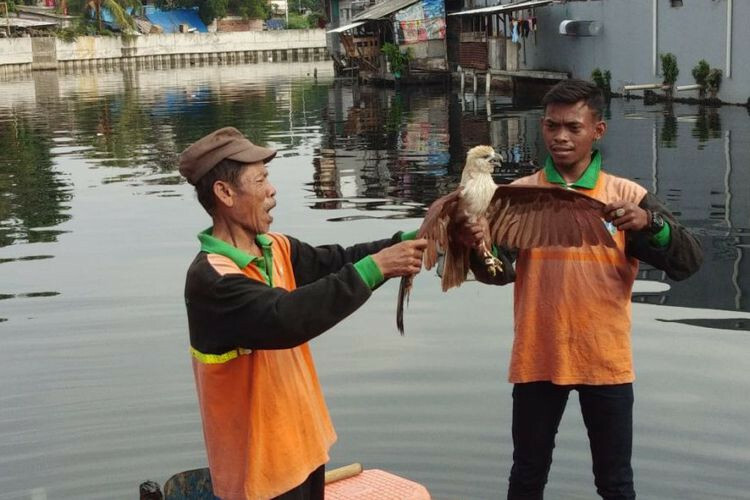 North Jakarta’s water body management unit has temporarily taken custody of the eagle, prior to handing it over to authorities.